ARTURO DI CORINTO Researcher, teacher, scholar and consultant working on information society issues. Prior to joining the Presidency of the Council of Ministers (DDI) as senior information officer, I’ve worked for the National Center for Informatics in 2005, and in a variety of communication positions in corporate, non-profit and big/mid-sized media firms such as Rai-Radio Televisione Italiana and Apogeo/Feltrinelli”. • Profound experience as a media/communication manager in the public and corporate sector. • Thorough knowledge of italian and international media, a strong news sense and the ability to digest complex information and present it in a concise, simple and compelling way. • Excellent IT skills; hands-on experience in maintaining and developing a website; experience in web design and graphic design. • Academic qualification and experience. • Proven track record in successful project management and implementation of strategies. • Ability to work collaboratively with an international team and to prioritise, strong interpersonal skills. Coordinator, Internet Working Group RAI – Radio Televisione Italiana. May. 2000, May. 2002. Researcher, visiting scholar, Cognitive Psychology, Faculty of Psychology, Stanford University, Stanford, CA, U.S.A. 1997-98. Grammar School Diplome, Liceo Ginnasio Statale “Umberto I”, Lanciano, Italy, 1987. 52/60. Researcher, National Resarch Council (CNR), Cognitive and Communication Technologies Department, Rome, Italy. 1996-97. Teacher assistant of Communication Psychology, Psychology Department, University of Rome, “La Sapienza”, Italy. 1995-96. 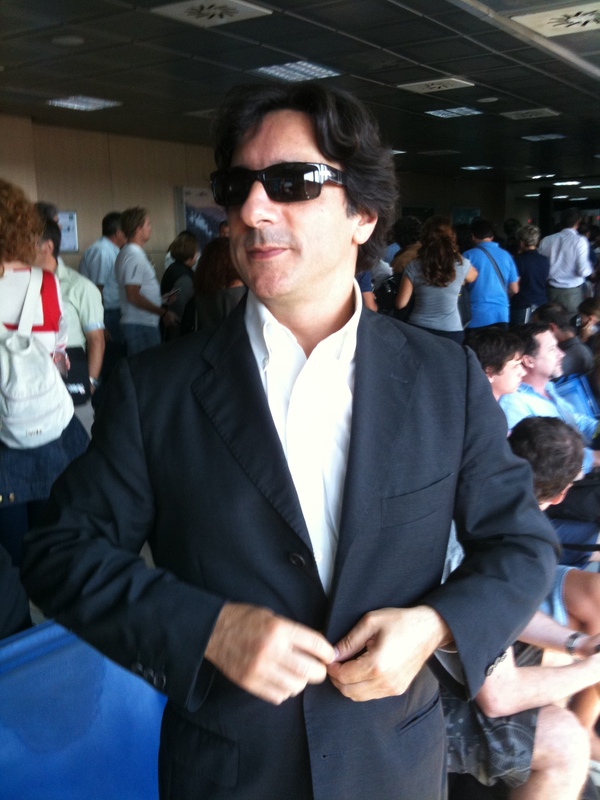 Editor and columnist: Wired, La Repubblica, L’Espresso, Huffington Post, Limes, Wired, Emergency, L’unità, Liberazione, Il Sole24Ore, Il Manifesto, Punto Informatico, Peace Reporter, Carnet, DeriveApprodi, Virtual, Notizie Verdi, Infoxoa, Simultaneità, Global, La Nuova Ecologia, Altreconomia, Zeus News, Apogeonline. 1994-2014. Author of scientific publications, UE, Department XIII. Author and editor of books: Manni, Brioschi, Rizzoli, Apogeo, Feltrinelli, Carocci, McGraw-Hill, XL, Manifestolibri, Castelvecchi Editore, CityLights Italia, G.R.A. Grande Raccordo Autoproduzioni, and others. Author of television and radio programmes: Raiuno, Raitre, RaiNews24, RadioTre; Radio Città Futura, Radio Popolare Network, Radio Onda Rossa. Panelist and conference organizer on culture and communication in Italy and abroad. (2005) Rete, “La democrazia dell’informazione tra TV e nuovi media”, Carocci. (2006) L’innovazione necessaria“, RGB Editore, ISBN 88-6084-038-4.